"Ordering one after lunch or dinner is considered somewhat strange and considered a typical 'tourist thing'" - WikiTravel 2012. I am of course talking about the infamous "cappuccino conundrum". If you are in Italy should you order a cappuccino after 11am, or as an afternoon drink, and if you aren't in Italy, do you or should you really care? 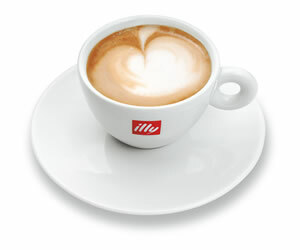 The cappuccino is the Italian morning cup of tea, but most of you know that by now, but did you also know that it is the chosen drink of the youth after a night out? Yes, leaving the clubs for a "cappuccino and cornetto (Italian croisant)" rather than the kebab and chips or even the more flamboyant b-grade pizza is very Italian, a very 'done' thing. So if it's OK as a night time after party drink, then why is the period between 11am and 3am of the next day such an issue with travel guides? Are Italians that fussy over what time they have a cappuccino? Once again, the question boils down to our stomach's, or rather, what is considered to be best for them. The Italian is the master of digestion. There is no country which takes more pride in the "buona digestione" (good digestion) stakes. Just think, after a big meal they have 'il digestivo" (a digestive) to help quash any 'potential issues' that may or may not occur. The guide to "la buona digestione" includes herbal remedies to "la brutta digestione" (bad digestion). Lemons, peppermint and "la coda di cavallo" (horses tongue) are all highly recommended. The problem with cappuccino after 11am it seems is, "it will hurt your stomach because of the milk". Wouldn't milk at any hour "hurt your stomach" if it was indeed milk that "hurt your stomach"? Order before 11am, not a problem. Order after and the worst that could happen a 'funny stare'; not so life embarrassing as the tourist guides make out. So, your 'cappuccino conundrum" boils down to; do you mind a funny stare? If the answer is yes, order something else, if not, just have a cappuccino. Anyway it's a "questione di digestione" for the Italians after all.